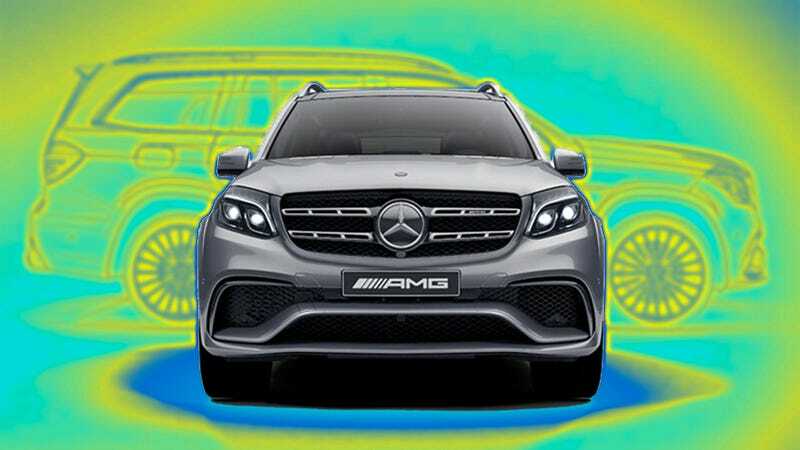 What Do You Want To Know About The 2017 Mercedes GLS63 AMG? The 2017 Mercedes GLS63 AMG is an immense creature. Simply put, it’s a high-powered variant of the S-Class luxury barge, evolved into an SUV about the size of a Chevy Suburban. Every empirical aspect of this vehicle is big, and I think I’m really going to like it. For the next few days I’ll be driving the 577-horsepower 5.5-liter biturbo V8-powered 5,688-pound four-wheel drive behemoth into and over some of California’s mountains, highways and dirt roads to eventually give you an idea of what it’s like to own and operate. To put its size in actual perspective, the GLS is just shy of 17 feet long and six-and-a-half feet wide; just a couple inches skinner than a Ford Raptor. And it’s still rated to do 0 to 62 mph in under five seconds. So leave some questions in the comments and I’ll scroll through them while I poke around this thing and write my review. If you’re looking for more specs, dimensions and numbers check out the brochure.